Home security systems are a good solution for the elderly, especially those who are staying at home or moving into an independent living area on your property. In many ways, today’s smart security systems are even more advantageous for the elderly than they are for busy families. 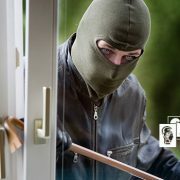 Here are some of the most important benefits that your older family members can appreciate in their security systems. Many home security systems allow you to add a personal emergency or medical alert button to the package. This is a mobile button that’s easy to wear around your neck or wrist. Activating it alerts loved ones and medical professionals that something is wrong and that you need help. 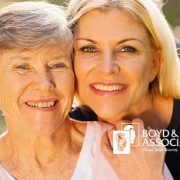 This service is particularly valuable for the elderly who are living alone. For example, if someone falls and breaks a hip, they probably won’t be able to get to a phone. However, they can activate their emergency button and get help immediately. The same thing applies to other emergencies where the elderly may not have many other options. 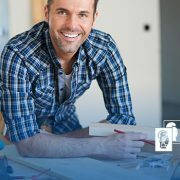 Security systems can easily be paired with more general home automation. These are smart home features to control lights, door locks, appliances, garage doors, and much more. Such automation systems offer many benefits to the elderly. They can be carefully programmed on strict schedules so that things always turn off or turn back on at the same times each day — even if someone forgets to do it manually. Many of today’s smart systems also allow you to create customized alerts for events, taking medications at the right time, and other useful activities that you don’t want to be forgotten. Other security systems can take things a step farther and can get more involved in healthcare for the elderly, beyond emergency alert buttons. For example, some security companies offer “fall detection” devices so that an alert is created after a fall, even if the person is unconscious. Other systems include smart pill dispensers, emergency medical kits tailored to individual conditions, and monitoring options to keep an eye on specific vital signs. Today’s home security systems also come with features that are particularly well-suited to the elderly, who may have issues with accessibility. This includes extra-large security keypads for those with poor eyesight, and easy management features as well as walkthroughs using apps instead of monitor screens. This allows people to sit down in comfort and go over their security features at their own speed and makes it easier to disarm security systems if necessary. 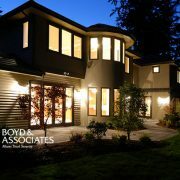 For more information on security systems, home safety, and how you to update your security, take a look at our services and how Boyd & Associates can help!